Government recently announced an expansion at the Maurice Bishop International Airport (MBIA) to accommodate a parallel taxiway. 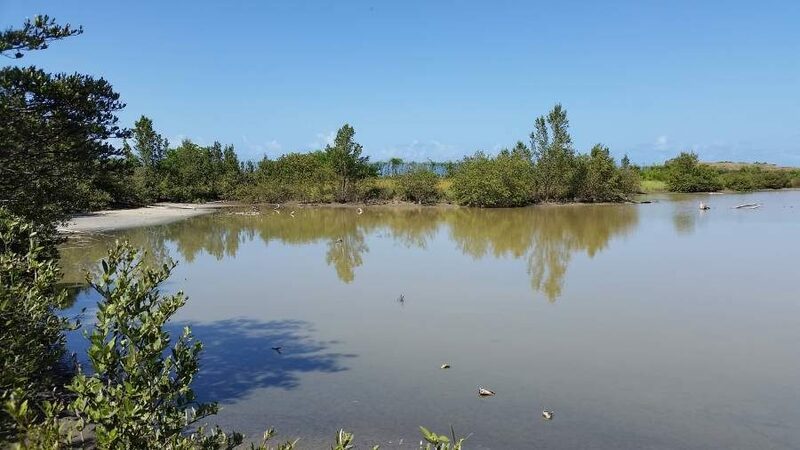 The Heritage Research Group Caribbean has stepped forward to conduct an environmental impact assessment to determine the impact further airport construction may have on what is considered one of the most important archaeological sites in the Lesser Antilles. 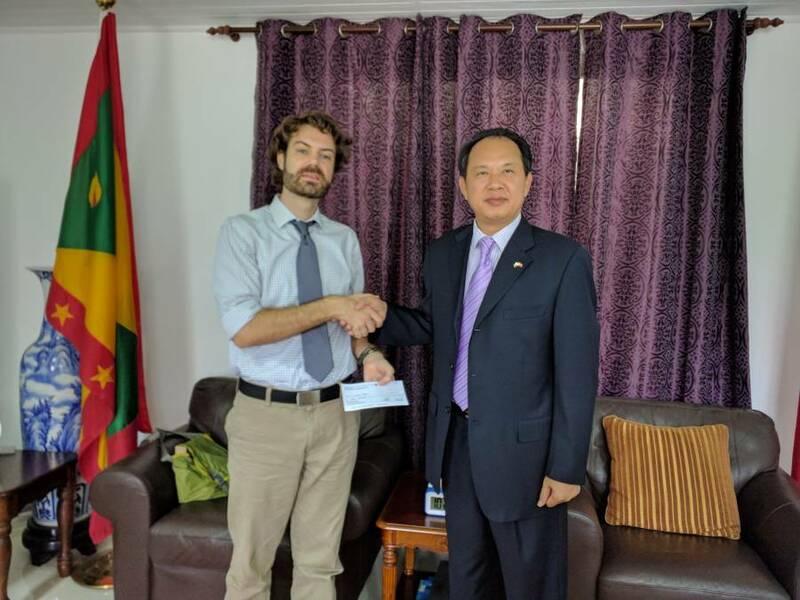 Noting the importance of preserving the island’s cultural heritage, the People’s Republic of China will fund $3,000 to the Heritage Research Group Caribbean to undertake the assessment of the site prior to the start of construction of a parallel taxiway, loading bridges, a bypass road, passenger terminals, the second apron for cargo and an emergency centre. Point Salines is named because of a large salt marsh (salina). The sites uncovered by archaeologist Ripley Bullen in 1962, date back to the 770-945 AD and show deposits of ceramics and organic refuse of early settlers. “In 1962, Ripley Bullen identified three loci around the salt pond for which Point Salines is named. Salt Pond 1 was a shell midden and ceramic scatter on the north edge of the pond, west of a salt warehouse and spanning across the road. During airport construction the northern section of Salt Pond was filled in, and Bullen’s Salt Pond 1 loci was either destroyed or buried under the airstrip. It is unclear how much of the pond was infilled, since no accurate maps are available of its exact dimensions. Disturbance on the northern edge of the current ponds was unmistakable in the 2016 survey, though a few artefacts were found on the surface— obviously in a transposed tertiary context. Bullen identified a loci on the southwest edge of the pond (Salt Pond 2) and a large midden on the eastern edge (Salt Pond 3), which were identified and sampled in this survey, both demonstrating deeply stratified depths. Bullen’s Salt Pond 2 was described as a “sandy area near the ocean,” southwest of the pond (Bullen 1964a:35), but this area is likely heavily disturbed and was not tested during the 2016 survey. Along the southwest edge of the western pond, however, archaeological deposits are still intact (which I labelled as Salt Pond 2). An auger test here (STP-7), produced ceramics and shell artefacts from 0-55 cmbs, including within the gleyed, waterlogged redox soils that began 45 cmbs. Charcoal flecks continued throughout the sequence, so we augered until hitting the water table at 108 cmbs. At 95 cmbs, the clay became a beautiful green gley (G1 6/10GY). A piece of charcoal from the “top” of the site (just 14-25cmbs) was radiocarbon dated to calAD 770-945 (CI:95.4%). 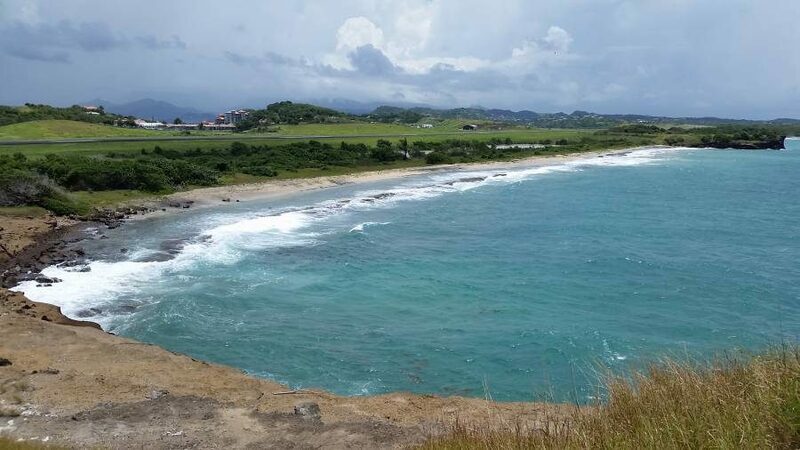 The Grenada-based consultancy group on heritage preservation is expected to begin their 3-week assessment of the Point Salines salt pond sites in June 2018. Phase IV: Continued monitoring and evaluation of the project, as it progresses. Every effort should be made to ensure that refuse from construction is properly disposed of away from sensitive cultural resources. It is also advisable to consult other specialists about impacts to the coastal ecosystem and perhaps even geology of the area (given the salt pan).